If you do not have a SIS or the current school management system does not meet the desired objectives, we will provide you with Student Coordinatorone©, one of the most complete system in the market for "FREE", based on the open OpenSIS used by thousands of schools and universities around the world. Student Coordinator©, offer a powerful solution for school information. Student Coordinator© enables the tracking of numerous student demographic attributes in a permanent record and across enrollments. Need something not included in the base installation? Use our custom categories and fields that allow you to easily create any number of custom fields to capture your specific data needs. 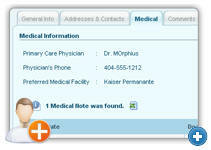 Easily add contact information for parents, relatives and authorized individuals. Designate legal guardian, bus stops and associate parents with students enabling automatic access to the Student Coordinator© parent portal. Student Coordinator© includes the ability to print student transcripts. Create groups of students across numerous attributes and click a button. It doesn’t get any easier and Student Coordinator© is all about ease of use. Are you paying for SASI Parent Connect? EdLine? Why? Student Coordinator© includes a parent portal that allows your parents to see their children, grades, attendance, discipline and more using the same intuitive web interface. And it is part of the base solution, which is free. 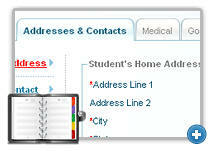 Student Coordinator© includes a scheduler that allows you to easily input student requests and mass schedule students. You can make multiple schedule runs as you make adjustments and have multiple schedules within a school. View and print student schedules and class rosters with just a few clicks. Student Coordinator© includes a parent portal that allows your parents to see their children, grades, attendance, discipline and more using the same intuitive web interface. And it is part of the base solution, which is free. Don’t like the color? Want to get rid of some fields that you don’t use? Easily customize your preferences to suit your needs and likes. It is all easily done with a few simple mouse clicks. Student Coordinator© includes the ability to control user security at the field level. Customize the included roles and create your own to meet specific needs. No programming knowledge needed and only a few mouse clicks are required. is licensed under the GPL License.